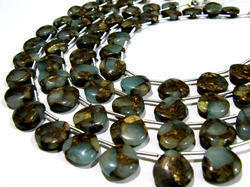 Prominent & Leading 100% Export Oriented Unit from Jaipur, we offer neon apatite rondelle faceted size 4mm, genuine rainbow moonstone, blue sapphire beads, shaded amazonite round faceted beads, ruby solar quartz beads size 20-25mm beads and natural green opal. 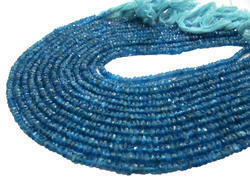 Natural Neon Apatite Rondelle Faceted Size 4mm Beads Blue Color Jewelry Making Beads Strand 13 Inches Long Sold Per Strand. 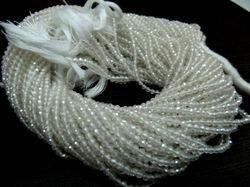 Natural Genuine Rainbow Moonstone Round Plain Smooth 4 mm Beads White Colour Beads For Jewelry Making Sold Per Strand 13 Inches Long. 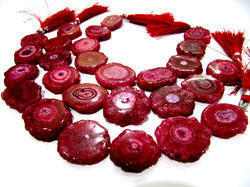 Awesome Ruby Solar Quartz Beads Size 20-25mm Dark Red Color Fancy Shape Strand Length 8-9 Inches Long Jewelry Making Beads. 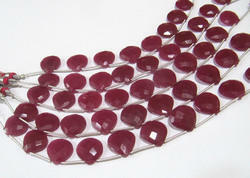 These Are Natural Ruby Colour Beads. 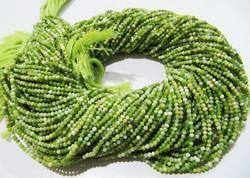 AAA Quality Natural Green Opal Gemstone Rondelle Faceted Beads Size Approx 2mm, Natural Green Color Beads Strands 13 Inches Long. 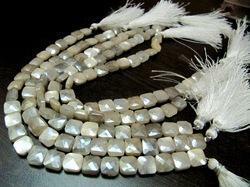 AAA Quality Natural Bear Quartz Shaded Rondelle Faceted 2mm Beads Strand 13 Inch Long High Quality Beads For Jewelry Making Sold Per Strand. 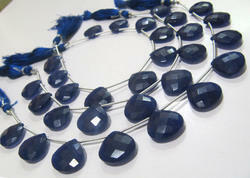 Natural Blue Apatite Oval Shape Faceted cut Beads Approximately size 5x7mm size strand 13 Inches long For Making Jewelry . 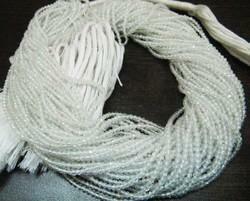 Amazing quality at the best price around!!! 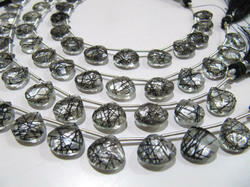 Bulk wholesale orders are welcome on any items in my shop, convoy me for pricing information. 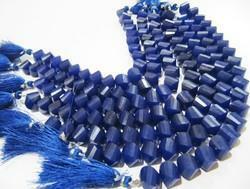 100% Natural Gemstone beads There is no Dye or any other treatments. You can see the picture it confirms the originality. 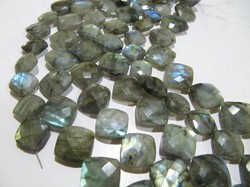 Natural Green Amethyst Pear Shape Faceted 8x12 mm To 13x21mm Briolette Graduated Beads Strand 8 inches long Natural Amethyst Gemstone Beads . 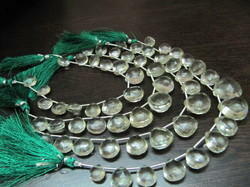 100% Natural Genuine Green Amethyst Beads. 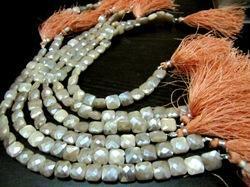 Gray Oyster Turquoise Heart Shape Plain Smooth Size 12mm Pigeon Color Briolette Beads Strand 8 inches Long Sold Per Strand. 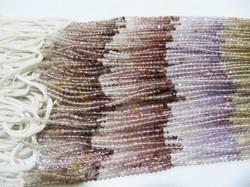 AAA Quality Natural Multi Rutiled 2mm Rondelle Faceted Beads 13 inch Long, Semi Precious Multi Color Beads Making Jewelry Sold Per Strand . There is no dye or any kind of treatment . 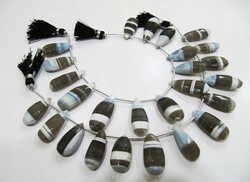 It is 100% Natural Multi Rutiled Beads. 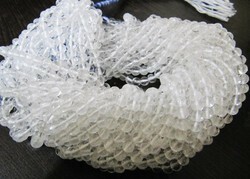 AAA Quality White Topaz Rondelle Faceted Beads 2mm Size, White Color Beads For Making Jewelry Sold per Strand 13 Inches long. 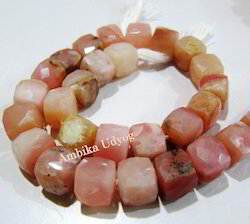 Natural Genuine Rock Crystl Quartz Gemstone Round Smooth 5 mm Beads Transparent Beads For Jewelry Making Sold Per Strand 13 Inches Long. 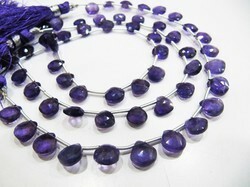 AAA Quality Natural African Amethyst Briolette Heart Shape Beads / approximately 8 mm Genuine Amethyst Gemstone Beads / Strand 8 inch long. 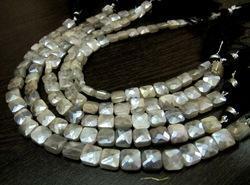 AAA Quality Natural Bio Opal Faceted Cut Long Pear Shape Briolette Drops, Flat Drops Beads, Beads Size Approx 10x22 To 11x25mm Strand 8 Inch long. AAA Quality Natural Bio Opal Faceted Pear Shape Briolette Beads Size Approx 10x18mm To 10x20mm Strand 8 Inches long, Shaded Gemstone Strand. 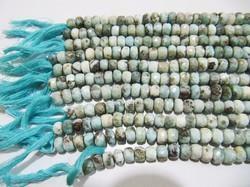 AAA Quality Natural Larimar Rondelle Faceted Beads Size 7-8mm, Far Size Beads 7.5 Inches Long Strand Green Color Beads For Jewelry Making. 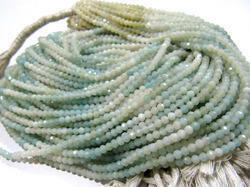 Very Good Quality Beautiful Neon Apatite Rondelle Faceted Beads , Natural Neon Apatite 4-5mm Beads,Strand Size 13 inches long, Gemstone Beads . 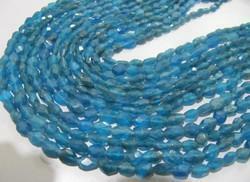 These are 100 percent natural Genuine Neon Apatite Semi Precious beads. 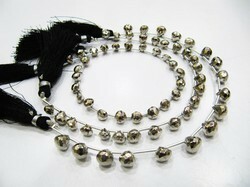 Each and every bead same size and shape. 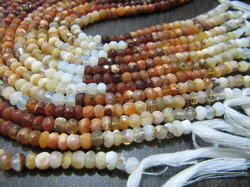 Natural Genuine Mexican Fire Opal Commercial Quality Rondelle Shape Beads Faceted Cut Opal Beads Size 4-5mm, Strand Length 13" Inches Long. 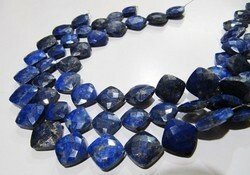 Natural Blue Sapphire Twisted Briolette Dyed Beads 9 to 10 mm Sold Per Strand of 10 inches long in Wholesale Rates Twisted Shape Stone Beads. 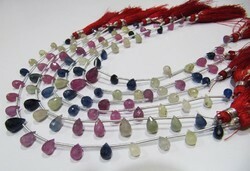 AAA Quality Natural Precious Genuine Multi Sapphire, Onion Shape Faceted Drop Briolette Beads, Size Approx 5-10mm, Strand 8 Inches long . 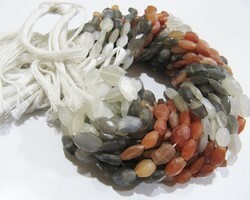 AAA Quality Natural Genuine Multi Moon Stone Oval Faceted Briolette Beads Size Approximately 6x10 To 8x12mm Strand Size 13" Long Jewelry making . 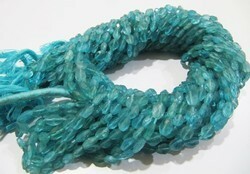 Natural Genuine Neon Apatite Oval Shape Faceted cut Beads Approximately size 4x6mm size strand 13 Inches long For Making Jewelry . 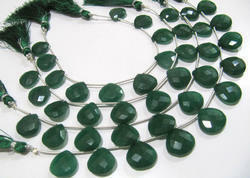 Natural Green Amethyst Heart Shape Faceted 10-16 mm Briolette Graduated Beads Strand Size 8 inches long Natural Amethyst Gemstone Beads. 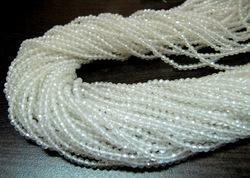 Top Quality Ceylon Moonstone Rondelle Faceted Size 3mm Beads, Transparent Color Beads For Jewelry Making Strand 13 Inches Long. Top Quality Natural Black Rutilated Hydro Quartz Heart Shape 11-12 mm Briolette Beads Size Strand 8 Inch Long,Black Colour Heart Shape Beads . 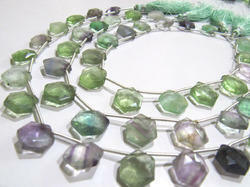 Each strand has approximately 14 beads. 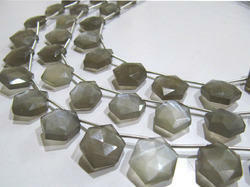 AAA Quality Natural Gray Moonstone Beads Hexagon Shape Faceted Cut Beads Size 11-12mm Gray Color Gemstone Strand 10 Inches Long . 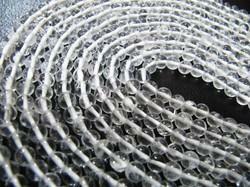 AAA Quality Natural Rock Crystal AB Mistic Dimond Coated 2mm Round Faceted Beads ,White Crystal Beads Strand 13 inches long Gemstone Beads . 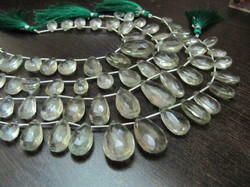 These are Best Quality Rock Crystal beads . 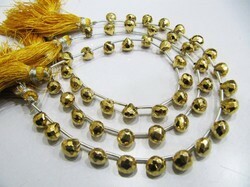 Beautiful Golden Pyrite Onion Shape Faceted Beads, Natural Pyrite Gemstone 8 inch long Strands 24 Kt Gold Plated, Semi Precious Gemstones. 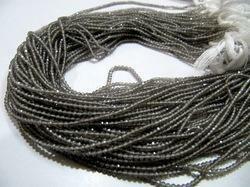 Aaa Quality Silver Pyrite Onion Shape Beads, Strand 8 Inches.